Posted September 27th, 2011 by Yvonne Hawkey & filed under Rega, Turntables. There isnâ€™t anything out there in turntable land that gives you this much musical enjoyment for the price. Thoughtful engineering serves the music well and we also like the colour options for the plinth. We do ours with the Performance Pack upgrade, which we think is even better value. 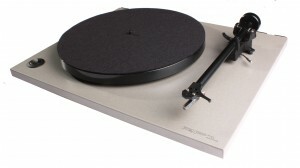 The inclusion of Rega Bias cartridge makes it special.